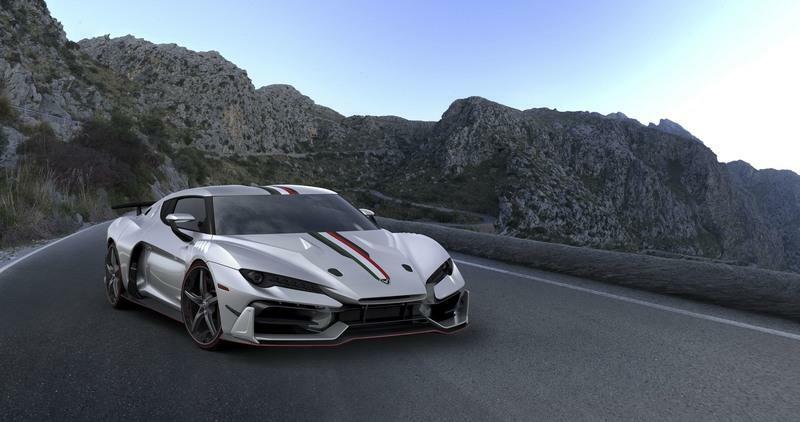 A ’hyper SUV’ called GFG Style Kangaroo from Italy will be gracing the 2019 Geneva Motor Show. 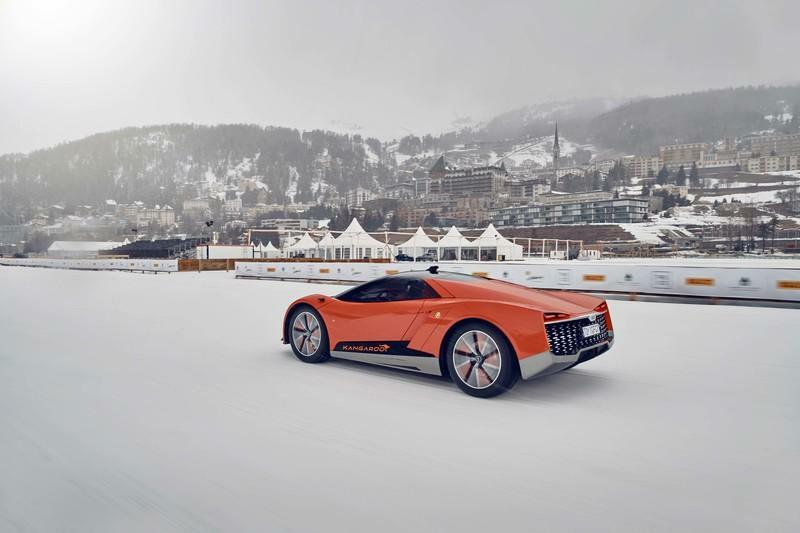 Although the company is relatively new and unknown, it does have a famous name behind it - Giorgetto Giugiaro and his son Fabrizio. The Kangaroo is billed as an SUV, although it seems pretty low slung to be classified as one. 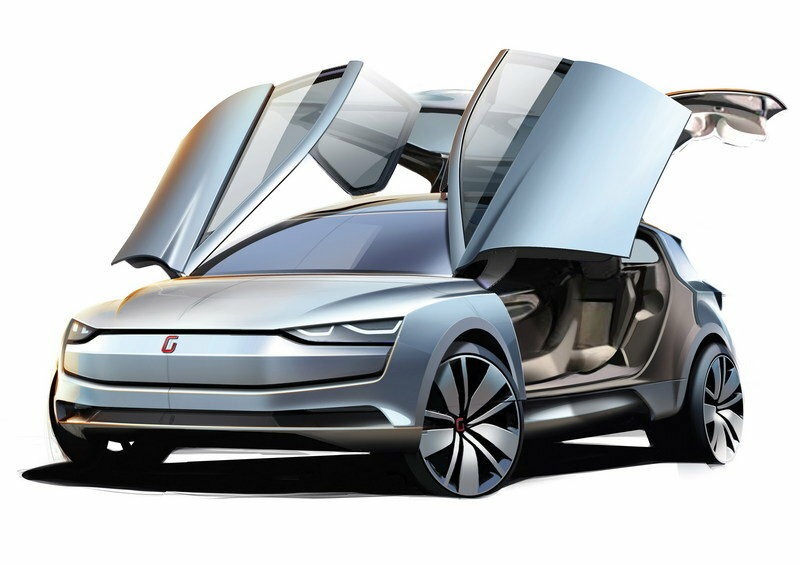 We will have more clarity on this all-wheel drive EV once it is officially launched at the Motor show. GFG Style Kangaroo 'Hyper-SUV' Concept World Premiere! - Driving on Snow, Overview & More! 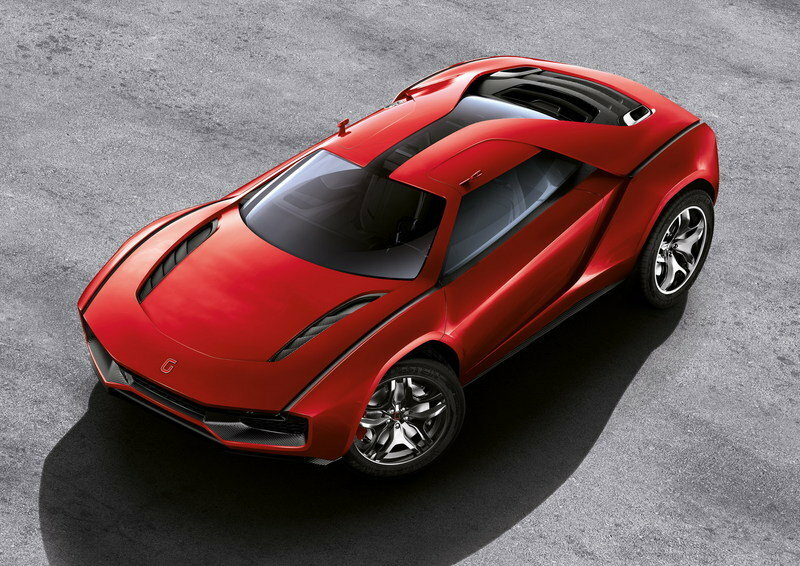 Back in 2013, Giugiaro introduced a supercar powered by Lamborghini Gallardo’s engine, but with the ground clearance of a crossover. Parcour never made it to the production, but the concept received a lot of praise for its practicality. This was back when Giugiaro owned the Italian design house called with Italdesign Giugiaro. 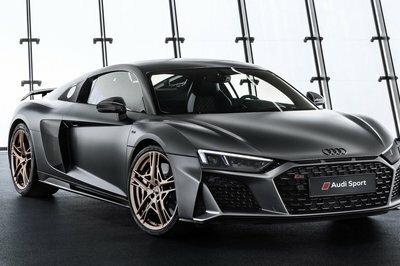 The automotive hall-of-famer sold all his shares to Audi and is no longer associated to the company. 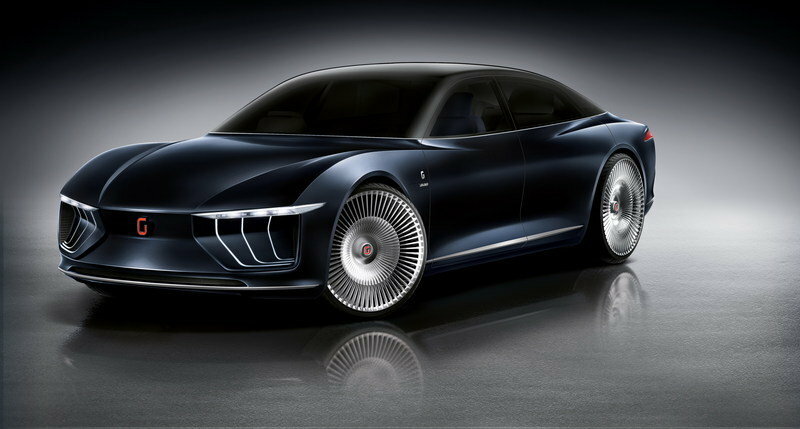 Six years later, Giugiaro and his son Fabrizio have come up with something on similar lines. The Kangaroo is a jacked-up electric vehicle that combines the performance of a supercar and utility of a vehicle that can pounce over uneven surfaces. On the onset, the Kangaroo looks absolutely fantastic. The Kangaroo is designed around an aluminum space frame with carbon fiber bodywork. Upfront, the hyper SUV features slim headlights and an aerodynamically enhanced bumper. Instead of slats, the bumper features honeycomb mesh. 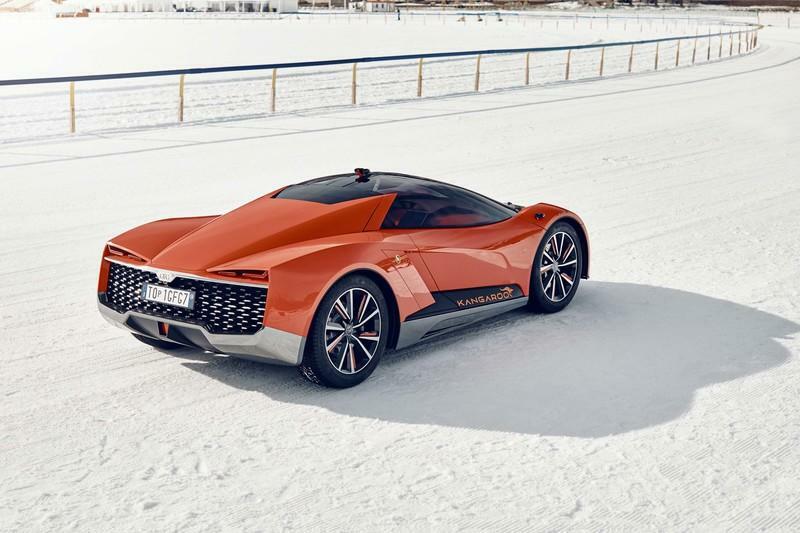 The Kangaroo looks wide and low slung, and the ’supercar’ effect is characterized by the body’s flowing lines. The profile of the Kangaroo looks sweet. The electric supercar rides on massive 22-inch Pirelli Scorpion rollers, which may not be a good idea for a vehicle that can go off-road. The doors are an art in itself. 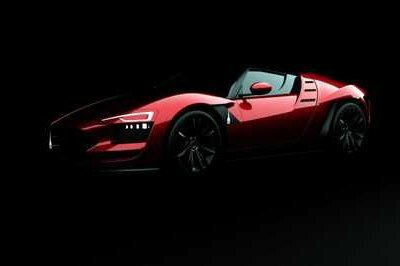 Even though the Kangaroo features just two seats, the front suicide doors and the gullwing-fashion glass window, if I may call it so, create a scissor-like opening when they work in tandem. The exposed carbon below the doors features the moniker vinyl on either ends. In the back, the Kangaroo’s highlight is the giant mesh grille. It makes up for the lack of one at the front. Giugoaro has embedded the turn-signal lights into the mesh grille and flaking the license plate. GFG says that each dot is a prism with an LED light and all of them work in cohesion to create a 'jewel' effect. Now, that’s fancy. The recessed taillights follow the same design philosophy as the slim headlights in the front. The sportiness of the Kangaroo is further enhanced by the large air outlet. 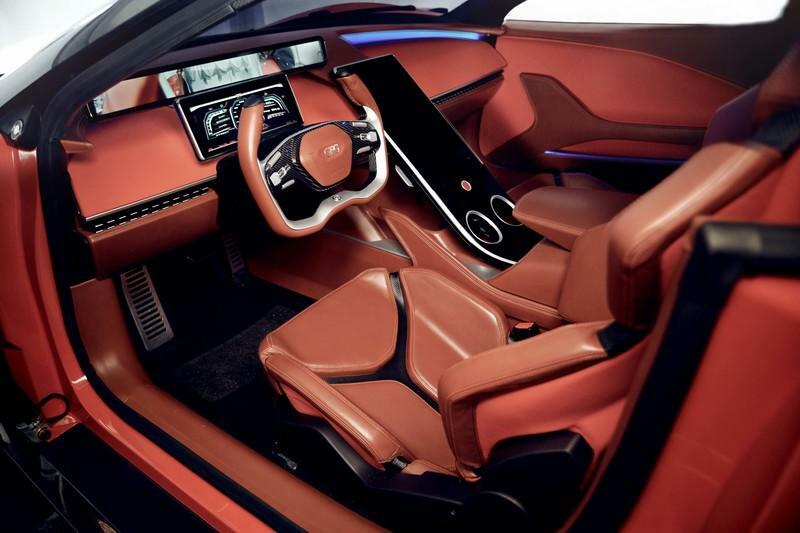 As expected, the cabin is as futuristic as you can expect from an EV and a supercar. The color-code matches with the orange on the outside. The dashboard features three displays, each one allocated with a duty of its own. The first one is placed under the crossbeam and acts as a giant rear-view mirror, showing the feed from the rear-facing camera. The second one is basically the instrument cluster, and the third one is a huge so-called infotainment system. There are two can holders right below the infotainment touchscreen, and the picture shows a fanta can placed over there. Not sure if it is a standard accessory or part of the optional package. 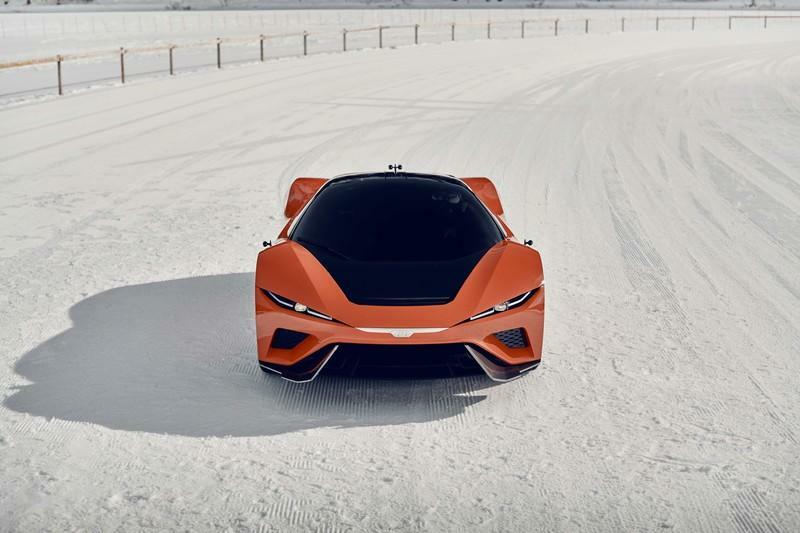 The powertrain and chassis were built in partnership with CH Auto, a company based out of Beijing. The Kangaroo is powered by a pair of electric motors that produce 483 horses and 501 pound-feet of torque combined. Power is sent to all the wheels, and the Kangaroo also features an all-wheel steering for better grip and handling. GFG has plonked a 90 kWh battery pack that is good for 280 miles on a single charge. The Kangaroo can hop to 60 mph from a standstill in 3.8 seconds, and has an electronically-governed top speed of 155 miles per hour. GFG has offered the Kangaroo with an adjustable suspension that comes with three selectable modes - Racing, Road, and Off-road. In the ’Racing’ mode, the Kangaroo crouches and sticks to the road to hit high speeds. In the ’Road’ setting, it raises itself by 30 mm for a smooth, urban commute. And, in the off-road setting, it raises itself 260 mm above the ground, thus justifying its ’SUV’ status. While I loved the Kangaroo as a whole, including the oomph factors like the scissor doors, I’m not sure how to transcribe it as an SUV. 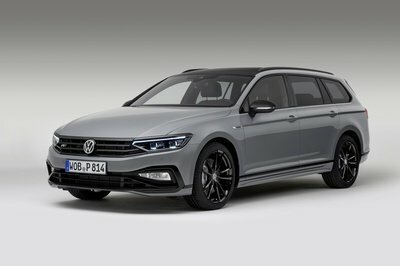 Automakers are slowly intruding the conventional territories of the body styles, but a car that clearly looks like a ’car’ and is being billed as an SUV is just ridiculous. 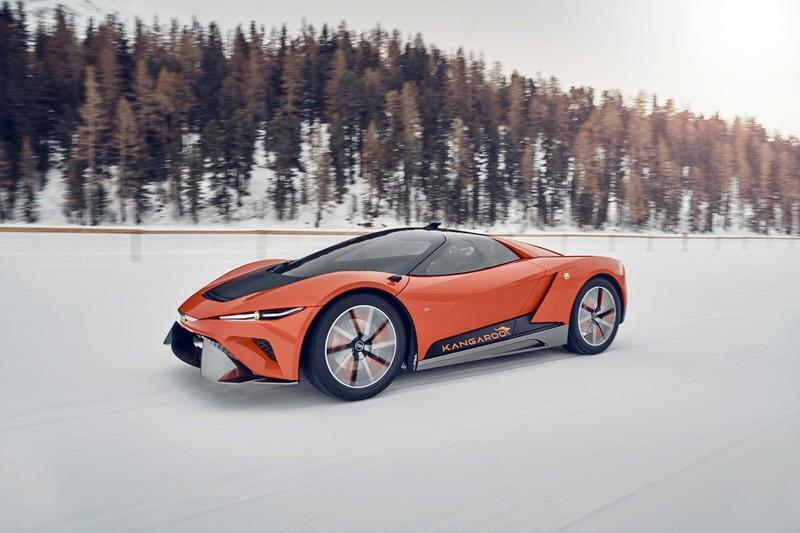 The GFG Kangaroo, unlike its predecessor from Italdesign, is actually a running prototype and will be displayed at the 2019 Geneva Motor Show. Will it be up for sale? We are not very sure of that yet. technology allows today, both inside and out”. 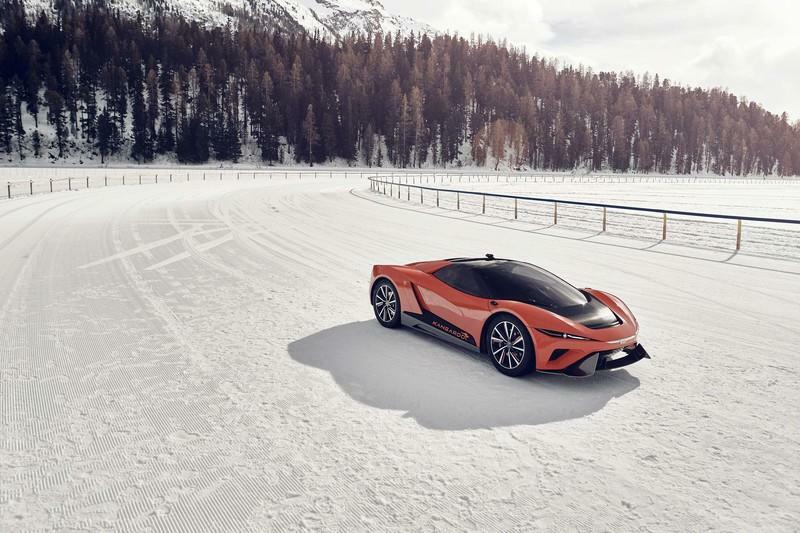 This high-performance concept has already been tested on the ice-bound tracks of St. The nose features the GFG aluminum frieze, a signature feature of GFG Style prototypes. The side panel is sculpted to accommodate big 22" wheels, the car’s primary impact feature. 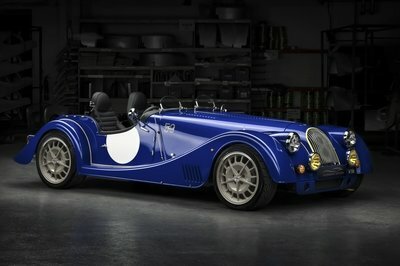 between the sportier or more elegant versions. other cameras are slotted into the mudguards, which also include the direction lights. are therefore in polished, chrome-plated aluminum, black and orange. manage everything related to entertainment and navigation. sportiness but also practicality, considering the wide-ranging use of the car. fibre while the wings, for minimum weight, are in polycarbonate and the windscreen in glass. impervious snow-covered terrains as well as on large stretches of ice. new hydraulic system, connected to a fully adjustable 3-way shock absorber. on the shock absorber body. with a single elastic constant "K" that configures the car with greater specific stiffness. and also tackling the rough terrain typical of off-roading in absolute comfort. angles to values higher than 26°. Accelleration 0-100 km/h 3,8 sec.